JESSICA DESVARIEUX, TRNN PRODUCER: Welcome to The Real News Network. I’m Jessica Desvarieux in Baltimore. And welcome to this edition of The Hudson Report. Now joining us is Michael Hudson. Michael is a distinguished research professor of economics at the University of Missouri-Kansas City. MICHAEL HUDSON, PROF. ECONOMICS, UMKC: Good to be here, Jessica. DESVARIEUX: So, Michael, we’ve been covering Ukraine quite extensively. And I know you’ve been keeping track of things on the economic front. What’s the latest? HUDSON: Well, one of the things that has not been in the news is that a recent Senate bill, 2277, directed the U.S. Agency for International Development to begin guaranteeing loans for the fracking of oil and gas in the Ukraine. 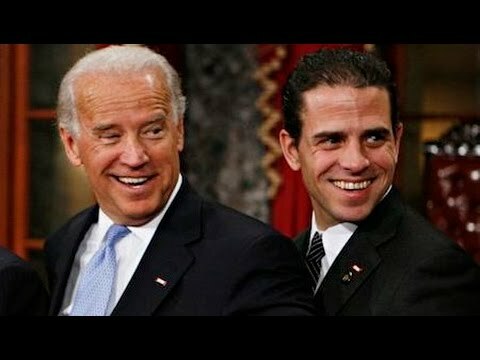 And Vice President Biden’s son has become the head of the biggest fracking company in the Ukraine. And what’s not usually known is that the armies from Kiev that are marching into the Eastern of Ukraine have been basically protecting the fracking equipment. Now, for the last nine months, local cities in the east in Ukraine have said, wait a minute, we want local control over the fracking. The people in the city of Sloviansk wanted to oppose the shale gas field from being developed, ’cause they said, look, this is going to destroy our water supply and our land. And essentially what Kiev is doing is saying, well, you’re terrorists if you’re opposing the oil drilling. Now, just imagine in this country if President Obama and Vice President Biden were to send troops into upstate New York, which has opposed oil/gas drilling, and bombed Rochester, bombed Buffalo, and began just bombing the cities and shooting the opponents of the fracking. That’s exactly what’s happening in the Ukraine. And they’re doing this supported by the World Bank. The whole attempt is to make Ukraine independent from having to get the gas imports from Russia. And yet already the neighboring Czech Republic, the Netherlands, France, Germany, they’ve all–Germany’s halted the shale gas drilling for seven years because they worry it’s going to destroy the groundwater. Now, in the Eastern Ukraine, where the fighting is now, all of the groundwater under Dnieper and the other major water flows flow into Yalta and into the Crimea. They’ve turned off the water, most of the water, to Crimea, trying to starve it. So there’s a diversion of water away from agriculture towards the fracking. Meanwhile, in the Western Ukraine, the World Bank has been supporting essentially the large-scale alienation of agricultural land to foreign investors. The World Bank is a wonderful index. It’s the index of screwing labor and destroying the environment. They call it the ease of doing business index. But the index for agriculture, they have a special index just for ease of doing business in agriculture. And that means getting rid of rules against pesticides, getting rid of rules against labeling food, against additives, and against everything. And it’s very much like the Trans-Pacific Partnership proposal and the Transatlantic partnership proposal. The problem is that Europe is actually opposing all of these pesticides and all the laboring. So you may have the irony of the Ukraine following the World Bank’s directions and getting rid of the restrictions on agriculture and making it impossible to export its crops to Europe. The good thing is that in the past the World Bank has always opposed a country growing food crops. The aim of the World Bank in the past, since 1945, has been to make Latin America and Africa and other countries as export plantation crops and by their food on America from the U.S. farms. This is almost the first time that the World Bank has supported grain production, because that’s what the Western Ukraine used to be, the bread basket of Western Europe. But in this case, the World Bank has said, we’re going to support you only if you sell out your land to foreigners. So the intention is to make the Western Ukraine look something like Ireland in the 19th century, when the British landlords owned much of the Irish land, put sheep on it, getting rid of the people on the land. And even in the midst of the Irish potato famine, Ireland was still exporting grain to England, because the grain lands were owned by the British landlords. In this case, for the Ukraine what you’re going to have is foreign ownership of Ukrainian agriculture exporting food that Ukrainians aren’t able to buy because of the dismantling of the Ukrainian economy that you’re seeing today as they’re fighting the war there. DESVARIEUX: Alright. Michael Hudson, thank you so much for joining us.